You’re wanting to get fit and you know that if done correctly, cardio could help you shred fat and change your physique. Some choose to find the nearest the treadmill and run at the same pace for hours upon end. Others choose to hit the treadmill with some sprints or switch it up by integrating cardio into their strength sessions. There’s now evidence that one of these approaches will give you limited success in reducing your waistline. The other will boost your progress. What we do know is that training smart is the way forward. Changing a soft mid-section into rock hard abs is really just a case of choosing the right sort of exercise! In this article we explore some of the simple tweaks you can make to your training plan and debunk the ‘myths’ surrounding the ‘fat burning zone’. A good place to start here is probably to define exactly what we mean by steady state cardio. When we talk about steady state cardio were talking about the type of cardio that focuses on duration over intensity. 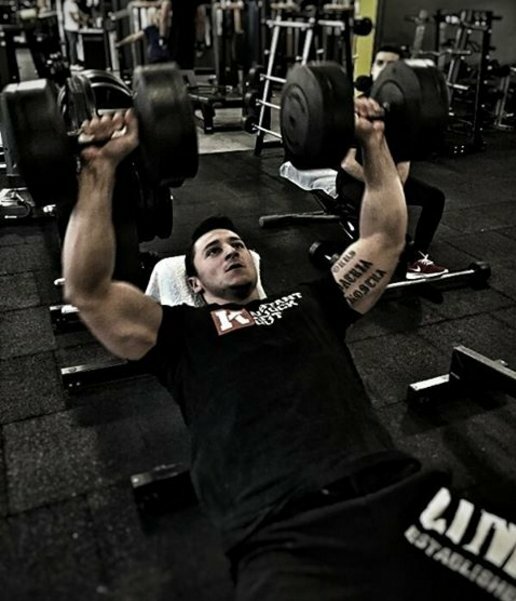 For that reason it’s often referred to as low-intensity, steady state, or LISS training. Typically you’ll focus on continuous exercises such as jogging, cycling or rowing. You choose a workout intensity that allows you to go for as long as possible and then you simply keep going. Usually this would be at around 70% of your maximum heart rate as any higher and you’d tire much quicker. The minimum time is usually around 20 minutes but dependant on time, boredom and overall fitness you could be pounding the pavement for 2 or more hours. There’s always been a pre-conception that to lose fat you have to do LISS training. And most of this had to do with the infamous ‘fat burning zone’. The easiest way to explain the fat burning myth, is to look at how the body burns energy at 65% of your maximum heart rate. Research has shown that training continuously within this zone, helps your body adapt quicker to the activity and burn a higher percentage of calories from fat . And there’s no disputing this really – at lower intensity exercise you do burn more fat as a proportion of overall energy expenditure. Even if you are burning fat, the total number of calories burnt is lower during steady state. Your body becomes more efficient at storing fat, as fat is the primary fuel source. This means that as you get fitter, you become better at storing fat even though your endurance improves. In the long term you can start to look fatter whilst getting aerobically fitter- we’ve all seen runners with a flabby belly and very little muscle. Don’t worry though, as this is an easy fix that will be discussed later on in this article! Many fitness and bikini models have cut out this type of training out altogether from their training regimes – and they still look extremely hot! Want to know why? They train smart and work with their fat burning hormones, not against them. You’re suppressing your thyroid hormones (T3)- which reduces your metabolism, increases fat storage and this ends in weight gain! This is essentially causing a hormonal imbalance, and it’s one of the main reasons why ‘calories in and out’ doesn’t always work when you are trying to lose weight. Well, if you have a sluggish or have an under-active thyroid, you will gain weight, because steady state cardio suppresses your thyroid gland. You have now entered into a vicious cycle of a slower metabolism and ultimate weight gain – which is caused by your body battling against your fat burning hormones! Your body is internally designed from our cavemen days. When food was scarce our body designed ways to stop you from using too much energy. This is what we refer to as the ‘survival mode’. Slow down your metabolism, so that you are more ‘economical’ at burning calories – this stores energy. Are you beginning to see the bigger picture yet? Another issue is that your body adapts to the intensity of the exercise. Consequently, you decrease the amount of calories that you burn with each run, making you more efficient at the activity. This makes your body look soft and flabby because you are not burning as many calories! More of the calories that you eat are stored as unwanted fat. If you are already in a calorie deficit state, its starts to cannibalize its own muscle – this can lead to muscle wastage and a reduced metabolism. It can lead to long and short illnesses – diabetes, heart disease and depression. It reduces testosterone levels – this hormone is a very powerful fat burner. The Solution – Blast up the Intensity! Step aside steady state cardio, as there’s a new kid on the block that burns 10 times as much body fat: Say hello to Tabata training! Now’s the time to sweat buckets, burn stubborn body fat and to get you looking trim in a shorter space of time. There is a real focus on lung busting intensity, you will burn up to 14 calories per minute , there are short 20 second exercise intervals followed by 10 seconds of rest. You will feel the after burn up to 24 hours post exercise and this will boost your calorie output ten fold. Learn more about Tabata training. Are you ready to burn some serious fat? Then it is time to replace your hamster wheel work outs with this Tabata work out. When performing the following exercises you will feel the ‘burn’ in all of your big muscles, which massively increases your fat burning potential. Repeat the work out as many times as you can! Remember that the more effort that you put into each exercise, the quicker you will burn off that unwanted fat. Steady state cardio is very poor at burning fat and with long term use, you will actually gain body fat. The issues are that it suppresses your thyroid hormones. Your body was not designed to exercise for prolonged periods of time at a steady state and the fat burning zone is mythical- you burn less calories and store body fat! You are designed to survive and not to waste energy, therefore performing cardio at a boring pace will increase your stress hormones. This can lead to a reduction in muscle mass and an increase in stored body fat. An excellent method of burning stubborn body fat is Tabata training. Try the above work out and see for yourself! Instant Knockout is the best ‘thermogenic’ fat burner on the market, you will see an amazing shift in your belly fat. Click here and see how powerful a fat burner it really is!